This poem will tug at this heartstrings. Written from a child's perspective, the sentiment reminds Daddy of "life's true possessions" and what little ones really need from their Dad. Our sentimental poem written by Teri Harrison is beautifully presented in an 8x10 black, white or walnut wall/table frame. There is a space for a 4x6 special photo, an ideal meaningful accent for his home or office. 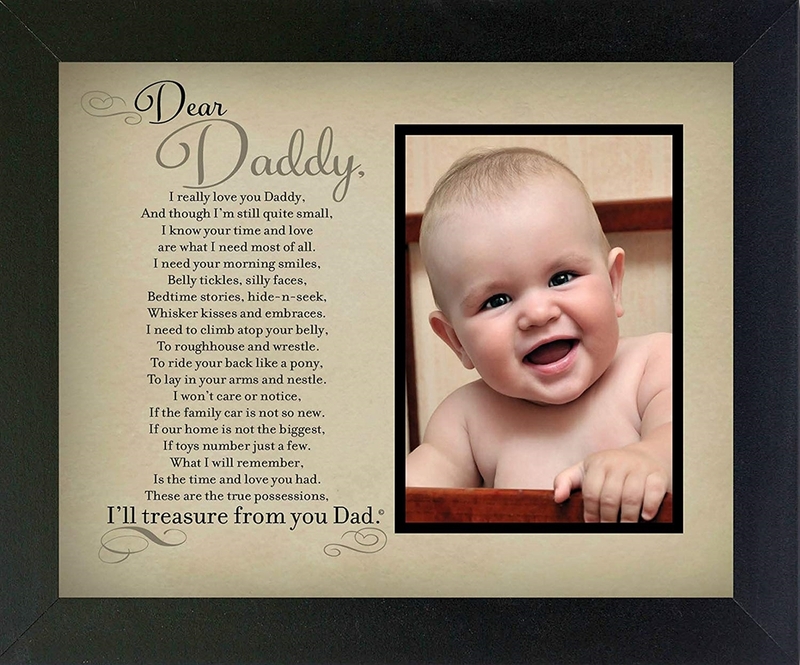 Present this gift to Daddy as a Father's Day gift, a new dad gift or any other occasion you want to send a special message of love. If you love this frame, see our other True Possession gifts for Dad. 4704- Handprint Frame, 4703 Handmade Pewter Coin and Sentiment. I am so in love with this product. I was searching for close to a week on what to get my husband for his birthday. I saw this and right away fell in love! I only had four days before his birthday so I thought I would get it after his birthday. To my surprise, I got it 2 days before his birthday. He absolutely loved it.